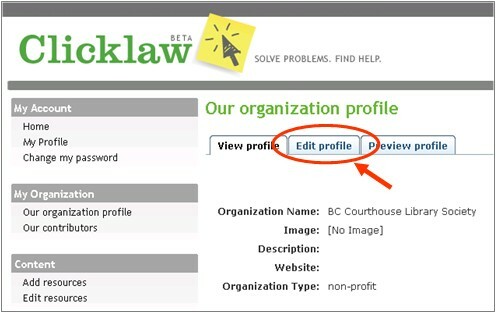 An organization profile contains information about your organization that Clicklaw visitors will see. Log in as a Clicklaw contributor. Click “your organization’s profile” if you’re on the contributor homepage or click “Our organization profile” in the left menu of the contributor site. Click the Edit profile tab. Enter all the required information and click the Publish button when you’re done. 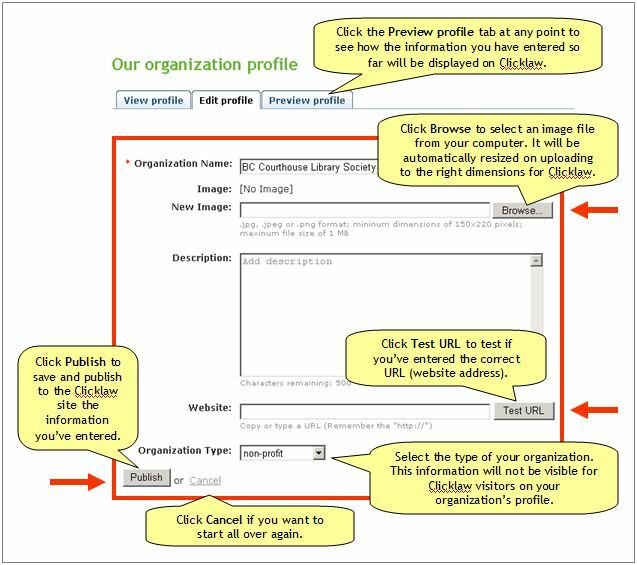 For the image on your organization profile page, you can use your organization’s logo. See the information about size and format for the image file. This page was last edited on 28 February 2014, at 12:33.